In my position as editor and long-time camera/photography buff, I'm often asked about what equipment to get, so I decided to write an article about it. Basically, you can use any camera for portraits and nudes. Accomplished photographers have even made good nudes using plastic toy cameras, using the cheap plastic lens and the light leaks for artistic effect. But if you want to try to sell your work, or you want to make photos people might want to frame for their wall, some gear is more advantageous than other. In the early 21st century, the debate raged for years as to if and when digital cameras had caught up to the quality of film cameras. But in the years since maybe 2006 some people were saying that they now have surpassed it, and the film proponents are now most often saying that film has a certain quality that digital cant match, not that it's superior in sharpnes and color and so on. Personally I think modern digital cameras give amazing quality, better than I managed with film myself, and it's faster to use and cheaper per shot. I do admit though that the cameras are more complex, there are so many menus and buttons that it's a challenge to learn it all. But most of that learning can be postponed, the cameras generally give very nice results even on full automatic. For megapixels, let me cut it short and say that for most purposes, ten-twelve megapixels is probably all you will need. Bigger resolutions demand very expensive lenses to be useful, and you can only really see the difference in very large prints, like meter-wide ones. By the way, always save your originals. I dont re-use SD cards, I file them as last-ditch backup. It is a shock to me when I occasionally ask for the originals of a photo set I've bought a few years ago, and the photographer says "I don't have that anymore". Backup and hard disks are cheap, save your originals. A pocket camera can be used. Many modern ones make high quality pictures. The main downsides to pocket cameras are that they are fiddly to use, and they are not so easy or precise to control as bigger cameras. They are also not as fast to react due to weaker computing chips inside. And importantly, they have a very small imaging sensor (the replacement for the film). This sensor is often only the size of a pinky finger nail. A small sensor means for one thing that it gathers less light, so it is less useful in dull conditions. And for another thing, it means that, for optical reasons, they tend to make everything sharp from front to back. This quality is often an advantage, in landscapes for example, but with portraits and nudes it often looks nice to have the background be softly blurred, keeping attention on the subject. And for that you need a bigger sensor. Big-sensor camera also generally have exchangable lenses, another good thing. For example you can now use prime lenses, meaning non-zoom lenses, these tend to be cheaper and smaller than zoom lenses, and are often (though not always) superior in optical quality, especially for the price. Also you can use "fast" lenses, meaning lenses with a big aperture (opening). These let you work in less light, and they also help when you want blurry backgrounds. And so does a lens which is longer, a tele lens or a telezoom. I recommend pretty much any so-called "DSLR" camera. This means "Digital Single Lens Reflex", which means that what you're looking at in the viewfinder is projected there via the lens itself and a mirror, which flops up and down very quickly when you take a picture. These cameras tend to have big and high-quality sensors, and they tend to be responsive and pretty easy to handle. Meaning good to grab and having a good interface. Not that they are simple! The new "mirror-less" exchangable-lens cameras are good too, but some of them have a smaller sensor, which makes it harder to get the soft background when you want those. I recommend a sensor which is at least about 13x18mm. Update 2014: today the Micro Four Thirds platform has developed into a fine professional platform, which I use myself. Their original issues with focusing speed and low-light-performance are past, and they currently have one of the finest and most varied set of lenses in the "mirrorless" space, including fast lenses for blurred backgrounds. They are also much lighter and more compact than equivalent DSLR cameras, and have roughly the same excellent image quality, despite the slightly smaller sensor. I think this is a big part of the future for pros and enthusiasts, take a good look at them. Even the cheapest DSLR cameras ("entry-level") are very good these days. I often use one myself, because they are also usually light and compact, which I like. They have most of the features, and often all of the quality, of the more expensive and larger models. The reasons to choose larger models if you can afford them would be they can be more reliable under hard use, they may have features you need (though maybe not), and they may have faster and more precise autofocus, for action/sports shooting. Some of them also have an even bigger sensor, called "full frame" meaning it is the same size as the old 35mm camera negative, 24x36mm. This gives a bit higher quality, a bit better low-light cabality, and potentially a bit softer backgrounds if needed. But full-frame is over-kill for most purposes except meter-wide prints. So in short, an entry-level DSLR camera with the kit zoom lens is fine. It's an economical way of getting a good kit. Much fine work has been made with those. What I would recommend for going further, for portraits and nudes, is a short tele-lens. For example an 85mm F:1.8, a 100mm F:2.0, or something in this area. The lower the F-number, the bigger the aperture. In fact the often cheap 50mm (F:1.4 to F:2.0) lens may be used in a pinch, because the sensor which is smaller than 35mm-size in most cameras (APS-C size) makes it perform like a longer lens (75mm), close to the ideal short-tele area which is good for portraits/nudes. The reason it's good is that it give you a bit of distance to the model which makes them more relaxed and also helps the perspective of the picture, since wideangle lenses tend to make bodies and faces look a bit distorted because you're close. It should be said, though, that the cheap 50mm lenses don't usually give the most pleasantly smooth background blur ("bokeh"), there are often "ridges" or lines in it. The same goes for many zoom lenses, particularly economical ones, sadly. There is a lot of difference from lens to lens in this matter, I recommend finding reviews and image samples on the Net. If you have the means, a long zoom lens can be useful, although the "fast" ones (F:2.8 or lower number) tend to be very heavy and very expensive. It's pro gear. You can use wideangle lenses for special pictures, but be careful and keep an eye on the perspective, as well as on distracting objects in the background. A wideangle lens sometimes makes the model's body look distorted, so it's best used sparingly. I recommend getting cameras or lenses, when possible, which are stablized against camera shake. Read reviews. It's called various things, like IS, Image Stabilization, Shake Reduction, etc. I prefer stabilization which is built into the camera body, like Olympus' 5-axis Stabilization, so it works on any lens. Sadly, some brands don't do that. It is also often a good thing to use a flash to soften the shadows, for example the eye socket (and thus the eyes) of the model are often a bit dark. But how to do this right is a bit of a study. The most important things is to dial the flash down a stop or two, so it looks natural. Also, it's a good idea to soften the flash light with a "softener", a large one, so the shadows of the "fill light" are not so sharp, this will also make it look more natural. The fill light should not be very noticable. A reflector sheet is a great thing in sunshine, so the shadows don't get too dark. It's good to have a helper to hold it. 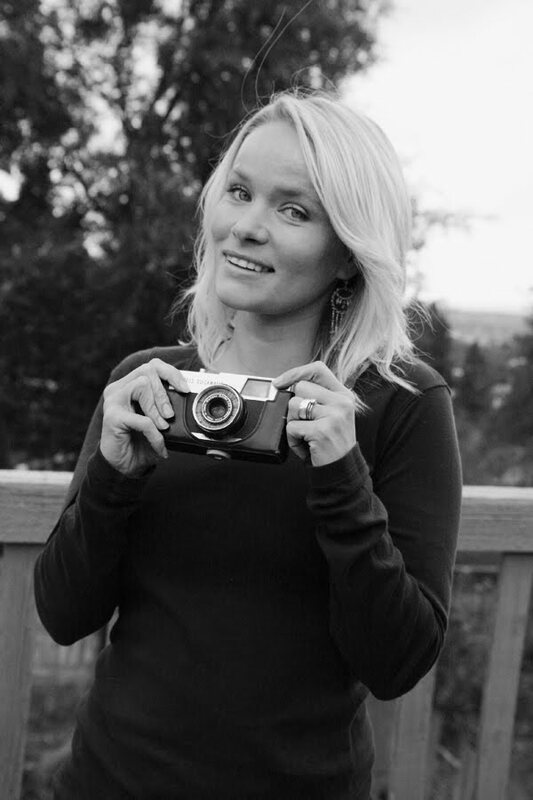 With modern cameras and automaticity, it's easy to take pretty good pictures. But if you want to make really good ones, it's a bigger study. It's important to learn to look not just at the subject, but also other things which are in the frame. How does it all work together? In general it's a good idea to seek out calm and non-distracting backgrounds. But not too boring ones! I recommend a lot of reading on the web and in books, it will pay off. Have fun! Today, fully professional cameras with exchangable lenses and even water-tight and with in-body stabilization, are pleasantly compact and light. 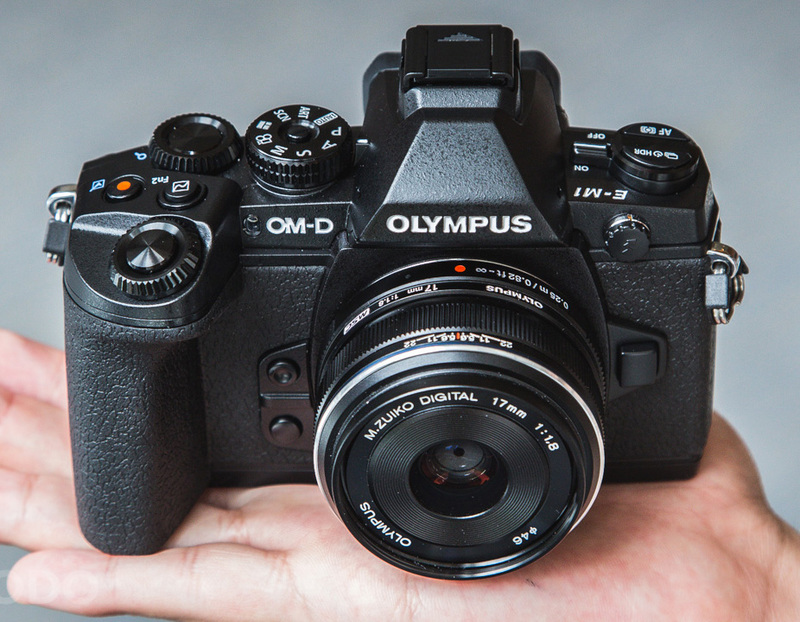 In 2014, Olympus E-M1 is king to many. Even the new, super-compact Panasonic GM1 has the relatively large M4/3 sensor, and with a lens like the 45mm 1.8 can produce outstanding results.